We are in Dublin, Ireland. Paper, scissors and all kind of creaft items lying on a table. We are in the world of Aleanbh, the creator of AwesomeCards. It began about two years ago, when she was creating some personalised cards for a friend. And guess what? That friend enjoyed these cards so much that Aleanbh decided to make a wider variety of cards. The collection became bigger and bigger, and so she recently started to sell them. You have the choice between a wide range of themes: whether destined for birthdays, anniversaries, or civil partnerships… a lovely card for your other half or a “get better soon” card for an ill friend, you’ll find what you need for any kind of event. 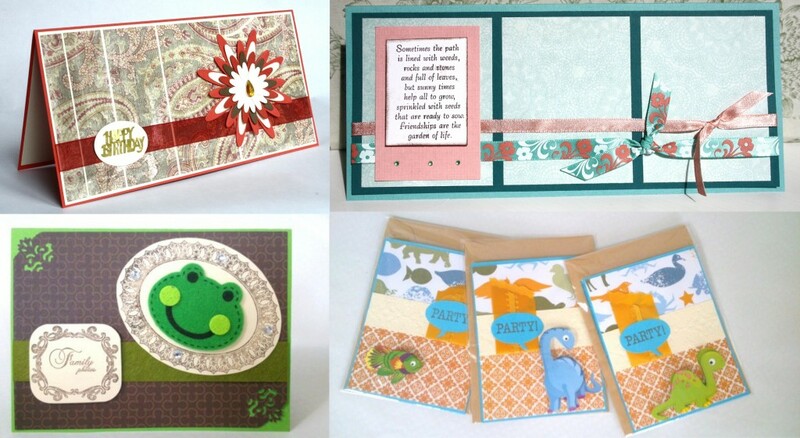 Aleanbh can conjure the right one for you, as she also likes to make tailored cards for your needs. The special thing is that she is constantly trying to find original ways to make a card exceptionnal. Also the technique is carefully chosen. Amongst others, the technique of dry embossing, where you place a stencil in a slightly thicker sheet and you simply push the paper with a pen in the form so you’ll have the relief of the motive. Or the quilling technique: when you wrap strips of paper around themselves and give them different shapes to create patterns. You can find her works on Blomming. She also participates in craft fairs around Dublin, so maybe you’ll have the chance to meet her in person! She will even be in Monza, Italy, for a Christmas fair.